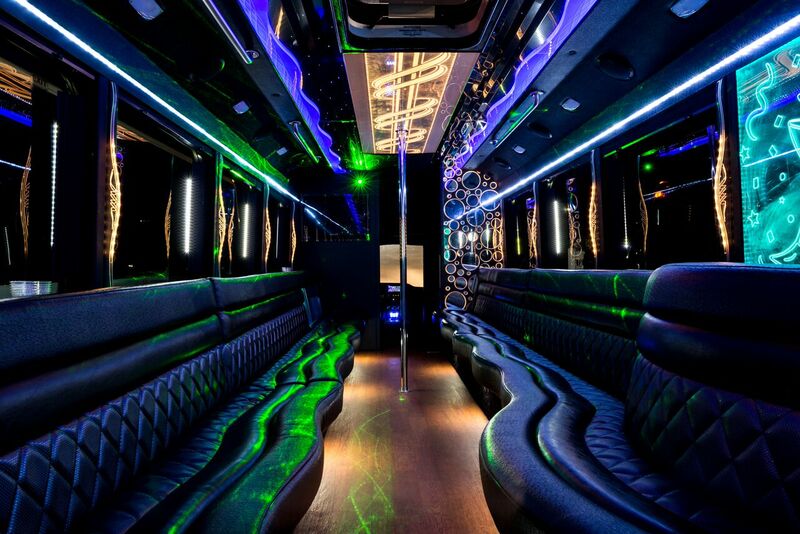 The party doesn’t stop between clubs… Keep on rolling! 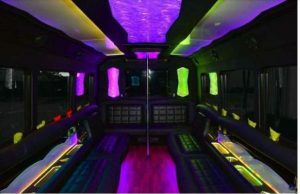 Arrive in style in our Fully decked out party bus or super limo! I couldn’t believe how affordable it was! We seriously thought there had to be some “catch” or surprise charges. Glad we were wrong. What a night! Thanks guys! I wanted to impress my friends and it only cost me $144! Everyone thought I was some big baller lol! 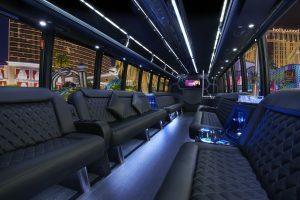 Everytime I get a booking for Las Vegas, I book with Vegas Party People. Problem solved and always rave comments from my clients. 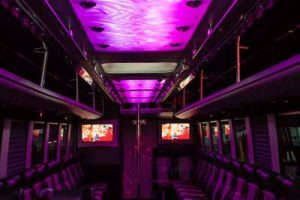 How Much Does it Cost to Rent a Party Bus in Las Vegas? 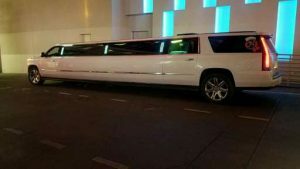 Transportation is priced two different ways in Las Vegas. The most common is the hourly charter. This means you book out a block of time during which you have exclusive unlimited use of the vehicle. 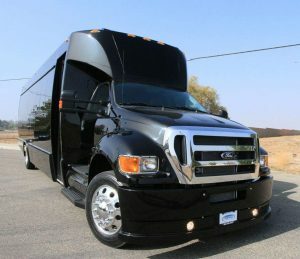 You can have one person on the bus or at a full capacity, the price is the same. You can go and do whatever you want. 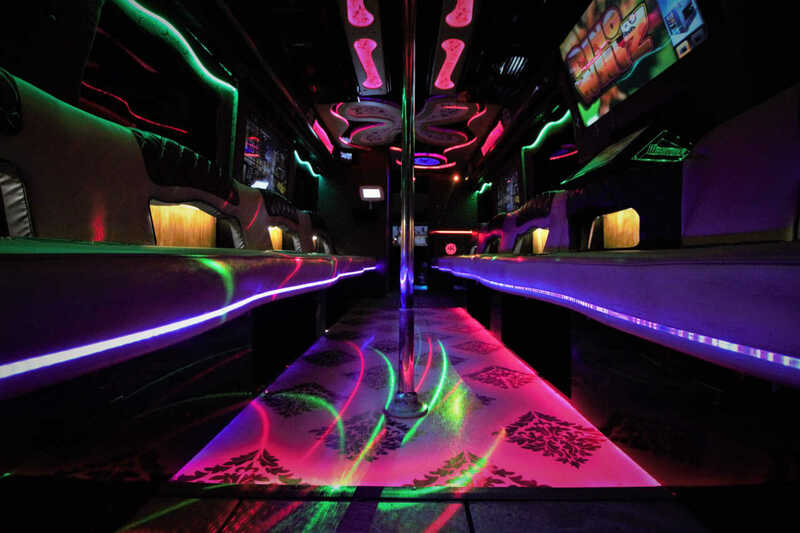 If you want to go to a club, the bus will wait in the staging area nearby, ready to depart at a moment’s notice. The second pricing model is based on one way point-to-point service called a Pick & Drop. 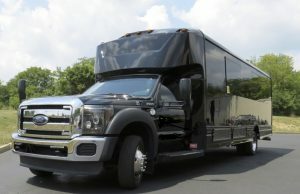 The bus will pick you up at the arranged pickup location and drive directly to your drop off point. 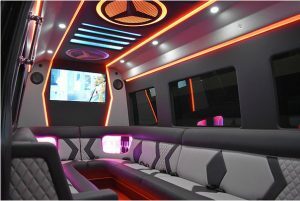 The vehicle will then proceed to its next booking. 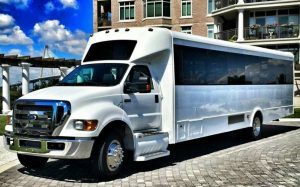 If you schedule two pick & drops to get you from your hotel to a party spot and back, the two vehicles may not necessarily be the same, and you definitely don’t want to leave your belongings on the bus, unless you want to donate them to a stranger. Pick & Drops are definitely more economical but hourly bookings give you more control and freedom. How Far in Advance Do I Need to Reserve My Bus? It really depends on the type of booking and the time of year. 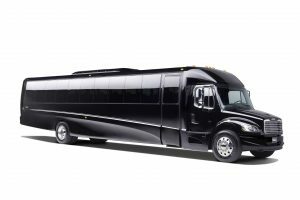 If you want a specific vehicle for a long hourly charter, book as far in advance as possible. 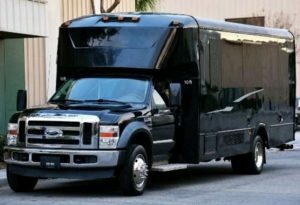 If you just need a pick and drop and are not choosy on which bus we send, you can often make arrangements same day. Just keep in mind, some weekends are booked out for months, so the sooner you book, the better your chances of success. We have a no hassle full refund policy up until 7 days before the scheduled reservation. This gives us enough time to rebook the vehicle. If you wish to have alcohol on your bus, we make our first stop at an amazing liquor store with a huge selection. This ensures everyone gets exactly what they want and it helps us keep our rates low. Can we Vape or Smoke on the Bus? No. There is no smoking of any kind on our busses. If you need a smoke break, ask the driver and he will do his best to accomodate your needs. What Happens if I Vomit on the Bus? If you vomit on the bus, there is a $500 cleanup fine due to the biohazard nature of the accident. If you feel like you're going to get sick, or see one of your party members looking ill, let the driver know. 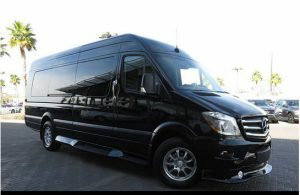 We can get you a safe ride to your hotel. It takes a lot of time and effort to correctly clean up this type of mess, and it may take the vehicle out of rotation and miss the next booking, hence the large fee. 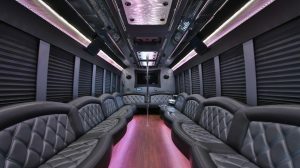 What Happens If Someone in My Party Breaks Something on the Bus? Don't stand on the seats. They are leather, and if punctured, cost money to repair. 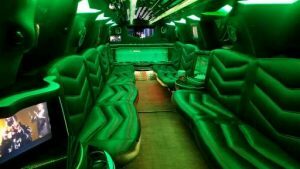 If you have any sharp objects in your pants, or if your jeans are extremely bedazzled, they may puncture the upholstery. Bedazzled jeans will also get you stopped at the door \lf most nightclubs for a dress code violation. It's not 2009, leave your bedazzled items in the hotel room. Seriously. Can We Leave Our Personal Belongings on the Bus? For hourly rentals, yes. However, we recommend you keep any valuables such as phones, jewelry, and cash on you for safe keeping. For pick and drop service, your bus will go to the next booking after dropping you off, so you need to bring all your items with you when you exit the vehicle. When Does the Clock Start for My Hourly Booking? The hourly rate starts when the vehicle arrives at the pickup point at the scheduled time. Meaning if you book an 8 pm pickup, the bus will show up by 8 pm. At 8 pm the clock starts. If your group is waiting 30 minutes for Francine to finish doing her hair, the clock runs during that time. It does NOT start upon departure. So make sure Francine gets her act together and is ready to go at the appointed time! Can We Drive Around and See the Strip and Check Out the Sights? For hourly bookings, you can go wherever you want. For pick and drop service, it's point to point as efficiently as possible. 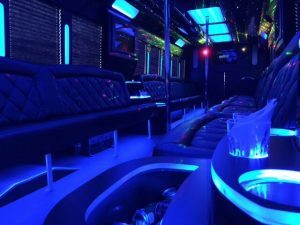 What's the Difference Between a Party Bus and a Mega Limo? These all look huge to me! 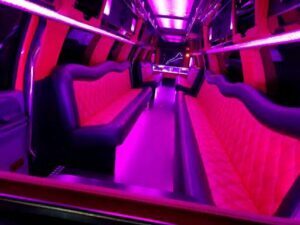 You can stand up in a party bus, in a limo the ceiling is much lower.